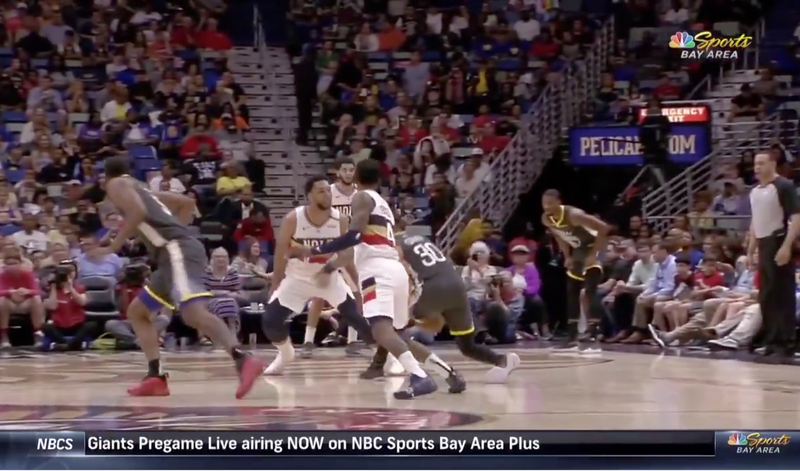 Less than week before the start of the NBA playoffs, Steph Curry went down with a non-contact ankle injury early in the Warriors’ game against the Pelicans on Tuesday. The injury occurred when Curry’s right ankle gave out during a crossover attempt, forcing him to turn the ball over. The Golden State guard stayed behind during the following possession and proceeded to take himself out of the game shortly afterwards. He was able to walk to the locker room under his own power. We will update this story with more information if it becomes available.